According to Robert Clinton, over 70 percent of leaders who successfully climb the ladder of leadership influence do not finish well. Some dramatically fail, precipitating public scandal, while the majority of leaders who lose their influence just fade quietly into obscurity. They fall short because in their outwardly successful lives there is a disconnection between the development of leadership competencies and the development of leadership character. The lack of character is a frequent cause for leaders failing to fulfill their true potential; and this lack of character can be traced to a lack of Christ and community in the lives of the leaders. As demonstrated in our ConneXions “5C” model, a healthy Christian leader knows God (Christ), was formed and lives in supportive and accountable community (Community), has integrity (Character), knows the purpose of God and presents it with credibility, clarity and passion (Calling), and has the necessary gifts, skills and knowledge to lead the people in the accomplishment of this purpose (Competencies). Too often, in leader development, we only focus on the last of these “Cs.” When a young man or woman goes to Bible school to become a leader, what is addressed? Competencies! Perhaps some token attention is paid to the other four elements, but for the most part, our attention to “leader development” is given in the area of competencies such as biblical knowledge, how to preach, how to counsel, etc. 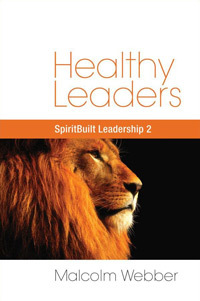 Competencies are essential but not sufficient in developing healthy leaders. Consequently, we have many “disconnections” in our leaders today. As necessary as competency development is, it is not sufficient to ensure that the leader’s life will result in truly positive influence or an enduring legacy. Many leaders may accomplish much but never amount to much! Significantly, a recent 14-nation research project found that the prime reasons for early and painful return from missionary service (in both older and younger sending countries) were not related to inadequate formal training in missions. The project found that the prime causes were clustered around issues related to spirituality, character and relationships in the life of the missionary. In other words, it is usually not a lack of competencies that undermines missionaries; it is inadequacies that occur in the other areas that are to blame. These are areas frequently not addressed in preparation – Christ, community and character (no doubt calling was not specifically addressed by the research or else we suspect it would have shown up, too). In the ConneXions model, we deal with the whole leader, not just his head. Our ultimate goal is the holistic transformation of the Christian leader into the mature image of Jesus Christ. As a result, many times, efforts at leadership building focus on courses and curriculum – the content. Not much time is spent on developing an appropriate process of development, which includes context as well as content. An experiential context, involving challenging assignments and a diversity of learning opportunities. Then, in that transformational context, He instructed them – the content of development. In a nutshell, that was how Jesus built leaders. Thus, context + content = the process of leader development. Traditionally, we are more likely to seat our emerging leaders in neat rows behind desks and lecture them interminably in our attempts to build them. We are often very strong in our content but weak in the context we create for leader development. This is how lives are changed! When all 4Ds are strongly present in a design, spiritual life is nurtured, relational capacities are strengthened, character is developed, calling is clarified and deep leadership capacities are built. The author has asked hundreds of Christian leaders around the world, from a wide variety of cultural backgrounds, these questions, “How were you built? What were the influences that formed and molded you as a leader? What made you the leader you are today?” Almost invariably, the answers include such things as parents, role models, examples, mentors, sufferings, responsibilities, rejections, failures, challenging assignments, etc. It is rare that someone will mention a course, and when they do, it is often the teacher who personally impacted their lives and not so much the content that they remember. This should not surprise us, since an honest study of the Gospels will reveal that Jesus did exactly this with His disciples. His strategy was not merely instructional; He also created a transformational context of leader development, including spiritual, relational and experiential elements. This is not to devalue content. We must have strong content; indeed, instruction is one of the four key dynamics of transformation of the ConneXions model. However, by itself, content is not sufficient. To build lives we must design transformational contexts that are strong spiritually, relationally and experientially. To illustrate this, consider the following example. Suppose we want to build evangelists. We could begin with an experiential component by simply sending them out to share the Gospel with unbelievers. “Just go and do it!” Will that work? Will they learn anything about evangelism? Certainly they will! Now let’s include a relational dimension by sending them out with experienced evangelists who they can watch and who will watch them and encourage and correct them. Clearly this will work even better. Now let’s add a strong spiritual element by having our emerging evangelists join with intercessors before going out. They will pray and cry for the lost, entering into God’s burden for those without Christ. Then, when they go out to evangelize they are also to look to God for help, asking Him who to go to, and waiting upon Him inwardly for the right words to speak. This will work better still! Finally, let’s give them some instruction – a good course on the meaning and nature of evangelism, studying God’s plan of salvation, a simple way to share the Gospel and one’s own testimony, some common objections to the Gospel and how to respond, etc. Now we’re building strong evangelists! This simple example demonstrates the power of designing learning experiences that give strong attention to all four dynamics of transformation – the 4Ds. This is how lives are changed; this is how leaders are built! Just as we must intentionally build all of the 5Cs (Christ, Community, Character, Calling and Competencies) in the leader’s life, so we must design processes of leader development that include all four dynamics of transformation (Spiritual, Relational, Experiential and Instructional). None can be neglected! This is a brief summary of the ConneXions model of healthy Christian leader development – building the 5Cs through the 4Ds!